For Sunday’s four-game NBA DFS slate, DraftKings is offering a $333K Sunday Special that awards $100K to the winner, while FanDuel is running a $333K Sunday NBA Shot. And with just four NBA Playoff games to choose from, there will inevitably be crossover between you and your opposition’s NBA DFS lineups. That means identifying the NBA DFS players who are poised to breakout with a low ownership percentage will be the key to cashing huge on Sunday. There’s no shortage of star power to choose from with players such as Russell Westbrook, James Harden and Damian Lillard among the top-priced NBA DFS options. However, it’s the guys who are relatively cheap, like Blazers guard Seth Curry or Rockets guard Eric Gordon, that could determine whether you win or lose. 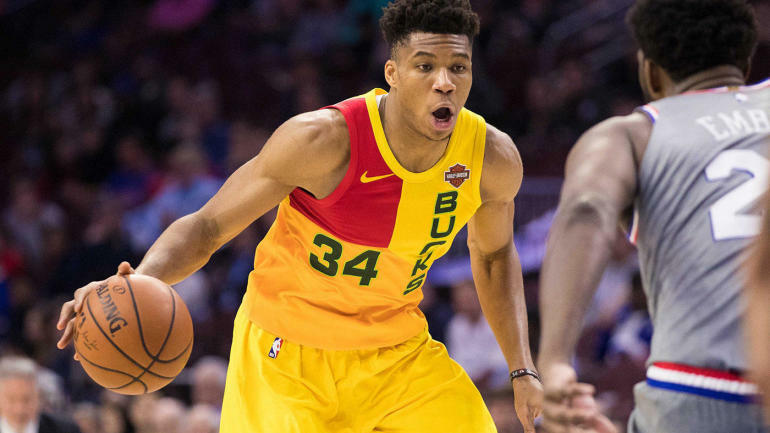 Before you enter these or any other NBA DFS contests for 2019 NBA Playoffs action on Sunday, you’ll want to see the top NBA DFS picks and lineups from Mike McClure. He’s a professional DFS player who has won almost $2 million in his career. McClure is also a predictive data engineer at SportsLine who uses a powerful prediction model that simulates every minute of every game 10,000 times, taking factors like statistical trends, matchups and injuries into account. This allows him to find the best NBA DFS values and create optimal lineups that he shares only over at SportsLine. They’re a must-see for any NBA DFS player. For Sunday’s NBA Playoff slate, we can tell you McClure is banking on Pacers forward Thaddeus Young at $5,400 on FanDuel and $5,700 on DraftKings. Young has been a consistent threat for the Pacers recently, scoring double-digit points in seven straight games as well as recording plenty of rebounds and assists during that span. Plus, he’s returned at least 4x value on DraftKings in five of his last six. He’s a complete steal at this price point, so lock him in your NBA DFS lineups and look for a big return on Sunday.